A Gift Card from Me to You! 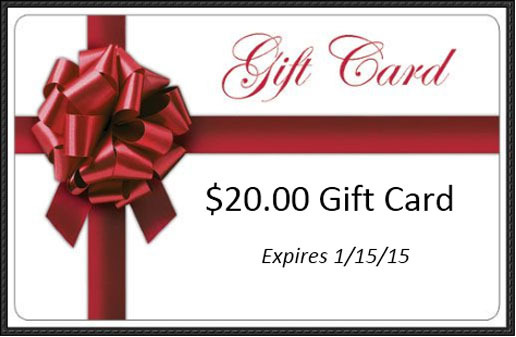 To Redeem Your $20.00 Gift Card, Call or Text (561) 847-3467. You can use your Gift Card towards any of my regular priced products – CDs, DVDs, Books, Event Tickets, T-Shirts, Sweatshirts, Faith Stands Items, and So Much More! Your Gift Card expires on January 15, 2015 so take action now! (561) 847-3467 NOW to Redeem Your $20.00 Gift Card!